Ford has been trying to come up with better sedans that offer superior driving experience. And recently Ford has announced 2013 Ford Fusion Hybrid which is a redesigned midsize sedan that offers superior looks and better performance than most hybrid car buyers are looking out for. 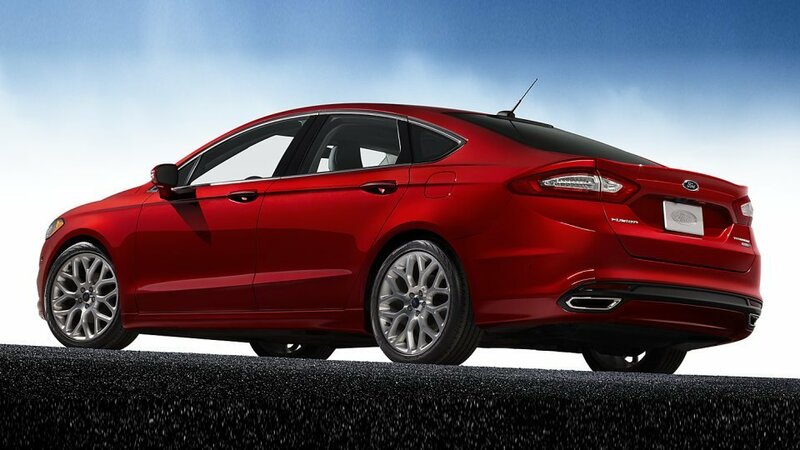 2013 Ford Fusion Hybrid combines the exterior appearance of the most popular Ford Fusion sedan. The power of better hybrid technology that Ford has been working on for many years. Let’s take a quick look at the top features of the vehicle in the 2013 Ford Fusion Hybrid review below. The car definitely gets a handsome styling. Therefore, if you are looking for sedans that offer better appearance then 2013 Ford Fusion Hybrid should be on the list. The exterior looks sporty and aggressive making it feels contemporary and modern. The front fascia of the vehicle gets a bold trapezoidal chrome grille that clearly dictates the front side of the vehicle along with sleek headlights that blend into the character lines on the side. The sedan also gets 17-inch alloy wheels, automatic headlights, fog lights, and better air intakes on the exteriors to make it look muscular and athletic. Ford has cleaned up the interiors in a better way compared to the 2011 model. However, the dashboard is now uncluttered and inviting for the users. It gets all black interior that offers a sporty look to the buyers with highly adjustable power driver seat for long driving journeys. 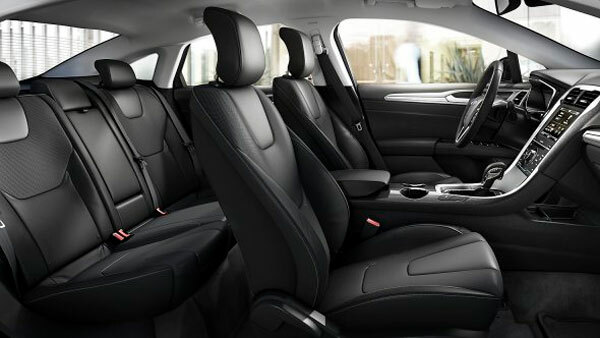 The passenger seats are comfortable and offer better lateral support. The headroom and leg space is good enough and slim front roof pillars offer better outward visibility. 2013 model gets My Ford Touch system that is missing in the earlier models that offer better control to the driver and front passenger. However, it lacks better cargo space with just 12 cubic feet of cargo space. Under the hood, the vehicle gets a 2.0-liter four-cylinder engine. That is combined with an electric motor that together produces 188 horsepower. The engine is mated with a CVT transmission that adds to the performance of the vehicle. Ford has decided to dump the earlier 2.5-liter four-cylinder engine that produces 156 horsepower with the CVT transmission. 2013 Ford Fusion Hybrid does well on acceleration as well as it accelerates from zero to 60 mph in 8.4 seconds which is on par with the Kia Optima Hybrid and Toyota Camry Hybrid. 2013 Ford Fusion Hybrid is definitely faster than Toyota Prius and Honda Insight which are also among the top hybrid vehicles in the market. It is also quicker than the 2011 hybrid version that accelerates zero to 60 mph in 8.7 seconds. The car also does well on fuel economy ratings with 47 mpg in the city and on the highway as well. In terms of economy, the 2013 model does better than the 2011 model. As the earlier model delivers 41 mpg in the city and 36 mpg on the highway. 2013 Ford Fusion Hybrid comes with all the standard safety features like ABS, traction control, and stability control. Furthermore, front side seat airbags, front knee airbags, and side curtain airbags. It also incorporates the Ford Sync system that offers emergency crash notification. And also Ford’s MyKey that allows users to set parameters for their teens. Ford has also offered optional safety features like blind spot monitoring, rear cross traffic alert, driver drowsiness detection, lane departure warning, and lane assist and collision warning with brake support. 2013 Ford Fusion Hybrid is priced at $27,200 and above. 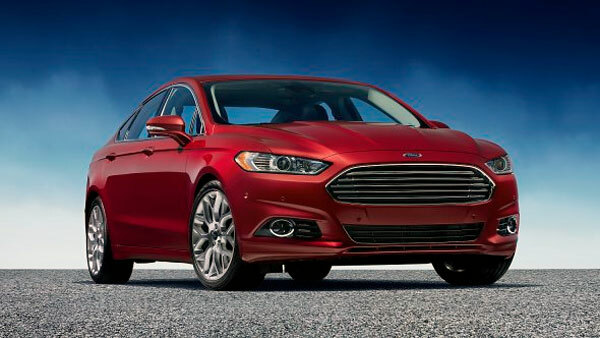 Ford has definitely made good changes to the Ford Fusion sedan compared to the 2011 model. The car gets best in class styling and better engine that performs well and offers better fuel economy. The interior is not luxurious but well above average to offer comfort and options to the driver and passengers. The car will get some great competition from other midsize sedans like the Toyota Camry Hybrid and Volkswagen Passat. 2013 Ford Fusion Hybrid definitely offers a better overall package.